If you have read two of my previous articles, “The ‘Import’-ance of the European CHL Goalie” and “Top 10 Best CHL Franchises for Imports,” you can attest that I have a deep admiration for Canadian Hockey League import players. I have researched these players from every possible angle, whether it’s what team in the CHL is best for a prospective imports, league awards that have been won by import players, or statistical records that they hold on their former teams. Additionally, despite some information of earlier drafts being unknown, I have also researched to find European-born NHL players who had been selected in the CHL Import Draft, and never reported. For example, former Pittsburgh Penguins forward and current Ak Bars Kazan captain Aleksey Morozov was chosen 65th overall by the WHL’s Regina Pats in 1996; Former Atlanta Thrashers and Dallas Stars centre Patrik Stefan was chosen 40th overall by the OHL’s Windsor Spitfires, the year before he was chosen first overall in the NHL Entry Draft, as well. Here is my list of the top 10 players to appear in the 2011-12 NHL season who were chosen in the CHL Import Draft but, for reasons we may never know, did not report to their respective teams. 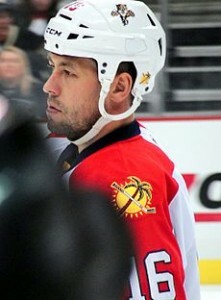 In 2004, the Ottawa Senators chose Peter Regin with the 87th overall pick, making him the first player from Denmark to ever be drafted to the franchise. He had represented his homeland in both the World Under-18s and the World Juniors that year, as well as scoring 20 points in 33 games with Herning in Denmark’s top professional league, the AL-Bank Liga; he was the league’s top rookie that season. That same year, the Toronto St. Michael’s Majors chose Regin with the 52nd overall pick in the CHL Import Draft. At the time, the Majors were quite young, and just starting to develop players such as Cal Clutterbuck (who was later traded to Oshawa), Ryan Wilson and Matt Halischuk. Instead of reporting to St. Michael’s, Regin stayed behind in Denmark, playing another year with the Blue Foxes and, the next season, he was on his way to the Elitserien to play for Timrå. To fill the import player void left by Regin’s failure to report, the Majors acquired Russian forward Alexei Ivanov in a trade with the London Knights. After two more years with Timrå, Regin finally came to North America in 2008. In 1997, the Kingston Frontenacs had some of the best talent in franchise history, employing the likes of Matt Bradley, Matt Cooke, and Michael Zigomanis. Larry Mavety was their head coach at the time, and the team was hoping to gain even more offensive punch. That year, they chose Marco Sturm with the 21st overall pick in the CHL Import Draft, hoping that he could join Thomas Dolak, the team’s other import pick, who was later traded to the North Bay Centennials. Sturm had been chosen 21st overall in another draft, the 1996 NHL Entry Draft, by the San Jose Sharks after he scored 36 points in 58 games as an 18-year-old with EV Landshut Cannibals in the Deutsche Eishockeyliga. He played another season of DEL hockey, scoring 43 points in 46 games, before he was chosen by Kingston. Instead of reporting as the Frontenacs’ newest import, and possibly the first German-born player to ever suit up for them, Sturm went to play in the NHL in 1997-98, playing in 74 games and scoring 30 points; he also played in two games for Germany at the 1998 Olympics in Nagano, Japan. After spending six more years with the Sharks, he was traded to Boston in 2006 as a part of the Joe Thornton trade; He has also enjoyed time with Los Angeles, Washington, Vancouver and Florida during his career. In 2008, the Moncton Wildcats were beginning to reap the rewards of two talented young defencemen, David Savard and Brandon Gormley. That year they chose Russian blueliner Viatcheslav (“Slava”) Voynov fifth overall; He had been chosen 32nd overall by the Los Angeles Kings in that year’s NHL Entry Draft, as well. Voynov had statistics like that of a stay-at-home defenceman while playing for Traktor Chelyabinsk in his native Russia ( it must be noted that he only played in less than 40 games in his first two seasons in the Russian Superleague). Instead of reporting to either the KHL or even the QMJHL, Voynov came to North America early, reporting to the AHL’s Manchester Monarchs after signing a three-year entry-level contract with the Kings on August 27, 2008. He scored 23 points, including eight goals, in 61 games as a rookie. He followed that up with two seasons with ten or more goals, including 15-goals, 51-points in 76 games during 2010-11 season. That effort saw him play in the AHL All-Star Game, and be named to the AHL Second All-Star Team. 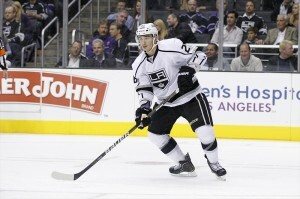 This past season, he played in 54 regular-season games with Los Angeles; In only the fifth game of his NHL career on October 27, 2011, he scored two goals and added an assist in a 5-3 Kings win against the Dallas Stars. In 1998 the Brampton Battalion were about to start their inaugural season in the OHL and, that year, they made their first ever pick in the CHL Import Draft. With the second overall pick that year, they chose Nikolai Antropov, a hulking teenager from Kazakhstan who was chosen tenth overall in the 1998 NHL Entry Draft by the Toronto Maple Leafs. The Battalion had players such as Raffi Torres, Jason Spezza and Jay Harrison on their roster at the time and they were hoping that Antropov, as well as their other import selection Lukas Havel, could help in giving them some dynamic offense. Sadly, it was not to be. Antropov decided instead to play for Dynamo Moscow in Russia. The Battalion also had a less than stellar season in their first year in the OHL, recording only eight wins. The year after what would have been his rookie import season, Antropov did come to North America to play for the Leafs. 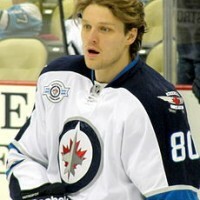 He has since played for the New York Rangers, Atlanta Thrashers, and Winnipeg Jets. He has also represented his native Kazakhstan on several occasions internationally, including the 2006 Olympics in Torino, Italy, in which he captained the team. In 2002, the Medicine Hat Tigers employed Joffrey Lupul, Clarke MacArthur and the late Derek Boogaard. Head Coach/General Manager Willie Desjardins was looking for two import players who could help their team be successful. They chose Belarusian forward Andrei Kostitsyn with the 15th overall pick in the CHL Import Draft, a highly ranked prospect for the next year’s NHL Entry Draft. Kostitsyn did not report, opting instead to stay in eastern Europe to play professionally. During the 2002-03 season, he split his time with CSKA Moscow, Khimik Voskresensk and Yunost Minsk, missing time recovering from two epileptic seizures. As well, he played for his native Belarus three times, at the World Under-18s, the World Juniors and the World Championships. Thanks to that grooming, he was chosen tenth overall by the Montréal Canadiens in the 2003 NHL Entry Draft. He spent the next year in Europe, too, before coming to North America in 2004 to play for the AHL’s Hamilton Bulldogs. The next year, his younger brother Sergei was chosen 200th overall by the Habs in the NHL Entry Draft. Sergei was also chosen 57th overall by the London Knights in that year’s Import Draft (unlike his older brother, Sergei reported to his CHL team). The Kostitsyn brothers have since played together in Montréal and, after the 2012 NHL trade deadline, again on the Nashville Predators. In 2001, the Brandon Wheat Kings had players on their roster such as Jordin Tootoo and Eric Fehr, as well as a three-game stint of a young Dustin Byfuglien, but they really wanted some dynamic scoring. That year they did not look overseas; Instead, they looked to the USHL and, with the 25th overall pick chose 17-year-old Austrian forward Thomas Vanek. The son of Czechoslovakian parents, Vanek had come to North America the year before to play with both the Stampede and the NAHL’s Rochester Jr. Americans. Instead of reporting to the Wheat Kings, Vanek opted to stay with Sioux Falls. In what would have been his rookie import season in 2001-02, the Austrian wunderkind led the USHL in scoring with 91 points in 53 games, including a league-best 46 goals. He joined the University of Minnesota Golden Gophers the next season, recording an incredible 62 points in 45 games, and earning the WCHA rookie of the year that campaign, as well as winning the NCAA championship (Vanek actually scored the championship-winning goal.) He was chosen fifth overall by the Buffalo Sabres in the 2003 NHL Entry Draft, after remarkably slipping through the draft in 2002. He returned to the University of Minnesota the next year and won another NCAA title in 2004. He also played for Austria for the first time at the World Championships that year. He signed an entry-level contract with the Sabres in 2004, and during the lockout he once again played in Rochester. Remarkably, Vanek is not the first in his family to be chosen in the CHL Import Draft; His brother-in-law, the late Josef Vašíček played two seasons in the OHL with the Sault Ste. Marie Greyhounds from 1998 to 2000, captaining the team for the 1999-2000 season. In 2005 the Regina Pats were a team on the upswing. They were still a year away from the services of Jordan Eberle, and they did not have much scoring punch up front. They looked to someone who had made history at that summer’s NHL Entry Draft; With the 59th overall pick, they chose Slovenian forward Anže Kopitar, who became the first player from his homeland to be chosen in the first round of the NHL Entry Draft when chosen 11th overall by the Los Angeles Kings. Kopitar actually comes from Slovenian hockey royalty; his father Matjaž is a well-known player and coach of HK Acroni Jesenice, one of the country’s best-known teams. 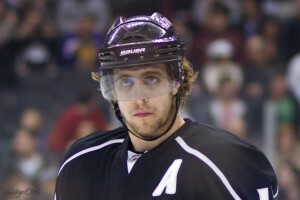 At the time, Kopitar was playing for the J20 SuperElit team of Södertälje SK in Sweden, and before his 18th birthday he had appeared in five games in the Elitserien. He also played for Slovenia at the World Under-18s, the World Juniors and the World Championships. In 2005-06, instead of playing in Regina as a rookie import, Kopitar went back to Södertälje, scoring 20 points in 47 games. He made the trek to North America in 2006 to join the Kings, where he has played ever since, and his family has joined him. In fact, his younger brother Gašper has played for the WHL’s Portland Winterhawks, and the USHL’s Des Moines Buccaneers. In 2012-13, he will play for Mora in the Allsvenskan. Kopitar’s prominence in North America has allowed for other young Slovenian hockey players to come over as imports; Players such as Jan Muršak, Žiga Pance, Boštjan Goličič, Anže Ropret and Gal Koren have all made appearances as CHL import players. In 1999, the Baie-Comeau Drakkar were in the same position as the Regina Pats were in 2005. They were looking for any players who could come and help their team achieve respectability. It was only their second season in the QMJHL and they were already in trouble. They looked to the 1999 CHL Import Draft; That year, with the 11th overall pick, they chose a 17-year-old forward from HK Dukla Trenčín in Slovakia named Marián Gáborík. He had actually scored a goal in a one-game cameo with the professional team as a 16-year-old, and he was considered one of the best prospects in Slovakia. In 33 regular-season games with Dukla in 1998-99, he had 20 points. He also played for both the under-18 and under-20 teams for his homeland. Instead of playing as an import with Baie-Comeau after they drafted him, Gáborík returned to Dukla to play for the men’s team again. He scored 46 points in 50 games as an 18-year-old, all the while missing time with the under-18 and under-20 teams once more. It did not hinder his draft status to the NHL; he was chosen third overall by the Minnesota Wild in the 2000 NHL Entry Draft. The next year, he was in North America, suiting up for Minnesota. He was not the only one in his family to get a job in the organization, as his older brother Branislav (himself a retired player) was named a scout for the Wild soon after. He has since played like an all-star in the NHL with both Minnesota and the New York Rangers, and has also appeared in two Olympic Games. The Drakkar have also had successful import players come over to play for them since Gáborík did not report; they have included Simon Olsson and Patrick Thoresen. In 2000, the Cape Breton Screaming Eagles were in their third season in the QMJHL. They did not have many superstar players on their team, but they did have a goalie on the verge of stardom named Marc-André Fleury. With the tenth overall pick in the 2000 CHL Import Draft the team selected a player making quite a name for himself in Russia. That player was Ilya Kovalchuk. 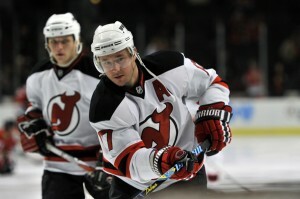 Kovalchuk had scored 13 points in 35 games with Spartak Moscow in the second-highest professional league in Russia. He had also lit up the 1999 World Under-17 Hockey Challenge, recording 14 points (including 10 goals) in only six games. In addition to his offensive flair, he had quite a physical edge too. The Screaming Eagles hoped that he would come to play for them as an import. He did not. Instead, for the 2000-01 season Kovalchuk played with Spartak, recording 43 points in 39 games. In 2001, he was chosen first overall by the Atlanta Thrashers in the NHL Entry Draft, becoming the first Russian player to be picked with the top selection. He immediately made the trip to Georgia, scoring 29 goals as a rookie. The then 18-year-old even won a bronze medal at the 2002 Salt Lake City Olympics. In the years since, Kovalchuk has become one of the NHL’s purest goal scorers. In 2008, the Ottawa Senators made one of the best decisions in franchise history by selecting defenceman Erik Karlsson with the 15th overall pick in that year’s NHL Entry Draft. That same year, the Mississauga St. Michael’s Majors, who are owned by Sens team owner Eugene Melnyk, chose Karlsson with the 61st pick in the CHL Import Draft. He could have joined current teammate Kaspars Daugaviņš, as well as Devante Smith-Pelly and Cameron Gaunce, on that roster. Instead of playing as an import, he decided to return to his native Sweden to play for Frölunda in the Elitserien, a year after he scored his first professional goal in overtime for them. He scored ten points in 45 games with Frölunda in 2008-09, and after their season ended he was loaned to Borås of the Allsvenskan. 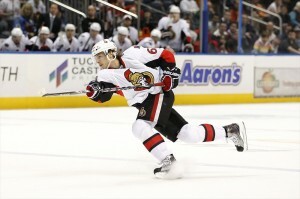 In 2009-10, Karlsson made the Senators but he struggled at first, resulting in a demotion to Binghamton of the AHL. In November, however, he was recalled, and he scored his first NHL goal a month later. He never played another game in the minors. Karlsson has played in two NHL All-Star Games and, in 2012, he led all defencemen in scoring with 78 points in 81 games, prompting his first nomination for the Norris Trophy.